The stylish PIXMA iP2770 combines quality and speed for easy photo printing at home. 2pl ink droplets, 4800 x 1200dpi resolution and Chromalife 100+ ensure crisp, sharp text and colour printing that lasts. PP-201 / Standard / Borderless 55secs. Document print speeds are the averages of ESAT in Office Category Test for the default simplex mode, ISO / IEC 24734, excluding time to print the first set. When printing ISO / JIS-SCID N2 pattern on 4 x 6″ Photo Paper Plus Glossy II using default settings. When printing ISO / JIS-SCID N2 pattern on A4 size Plain Paper using default settings. 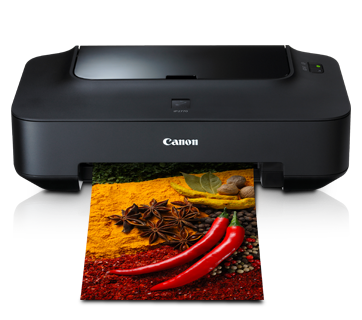 To keep printer’s performance, Canon printer performs cleaning automatically according to its condition. When the printer performs cleaning, a small amount of ink is consumed. In this case, all colours of ink may be consumed. – Faxes not printed out due to conditions such as ink running out. – Faxes in the send queue. If you disconnect the power cord, the date and time settings are reset and faxes stored in the printer’s memory will be deleted. Before you disconnect the power cord, confirm that faxes you need to keep have already been printed or sent.